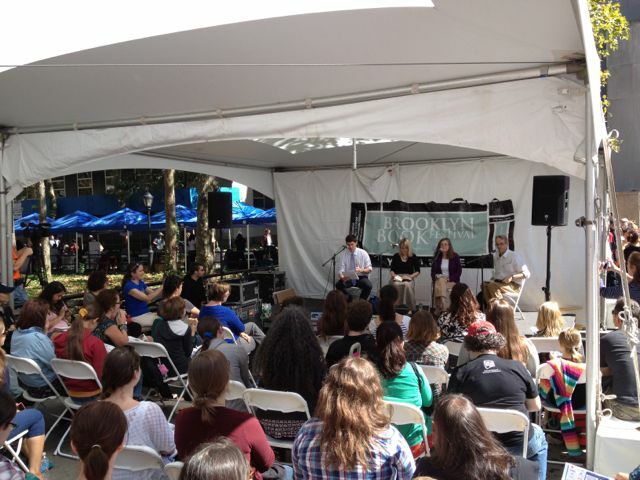 The Brooklyn Book Festival filled downtown Brooklyn with the largest free literary event in New York City. 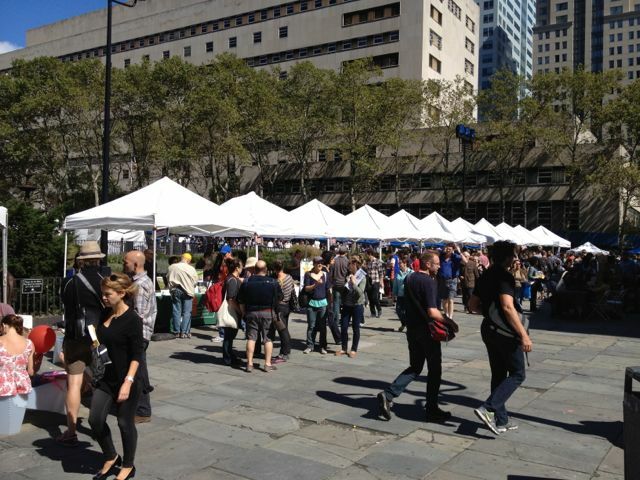 In addition to the half dozen venues featuring readings, panels and author signings, Borough Hall Plaza was filled with vendors, presses, publishers, literary journals, and authors. 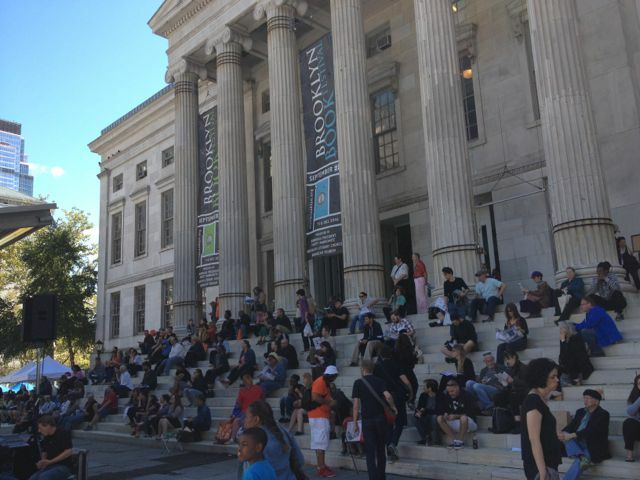 The Main Stage of the book festival relied on the steps of Borough Hall as bleachers. 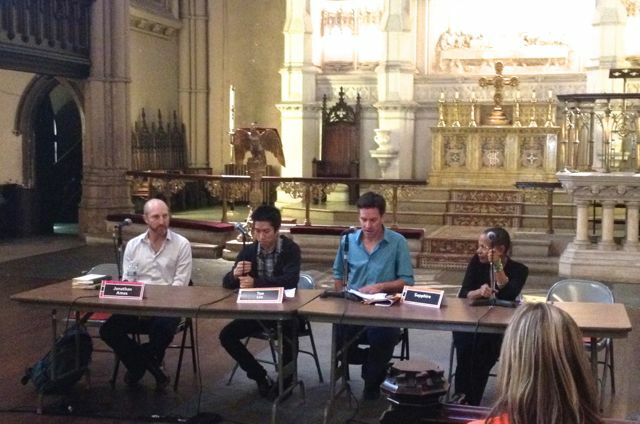 Jonathan Ames, Tao Lin, and Sapphire read from their books in the “Writers Who Read” panel. “Manhattan feels empty,” Jonathan Ames said. “I like gentrification,” Tao Lin offered. At least he read from his book. 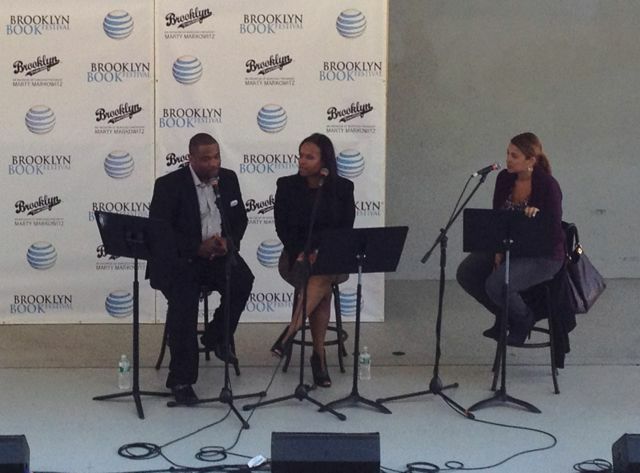 Best selling authors Ashley and JaQuavis read on the main stage and talked about writing novels competitively with each other. 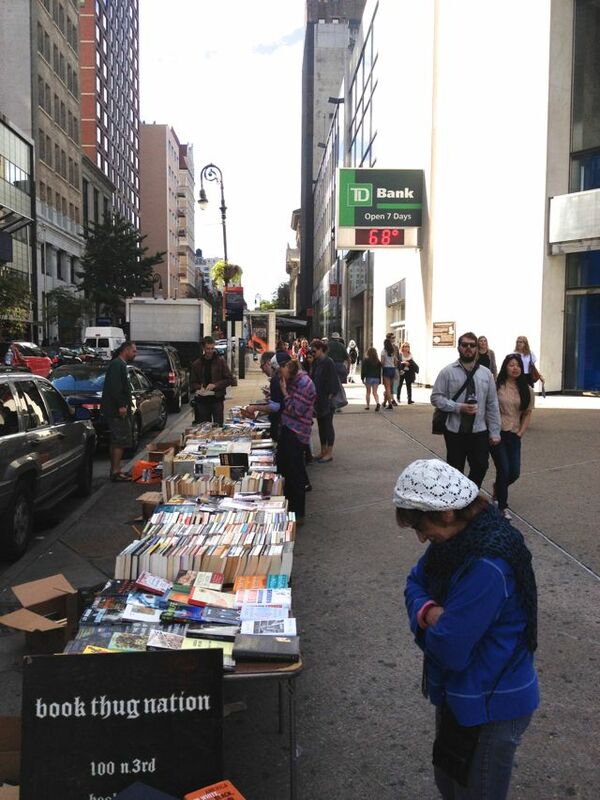 Not all the books for sale were actually inside Borough Hall Plaza. Some vendors set up on the side walk outside of the festival. 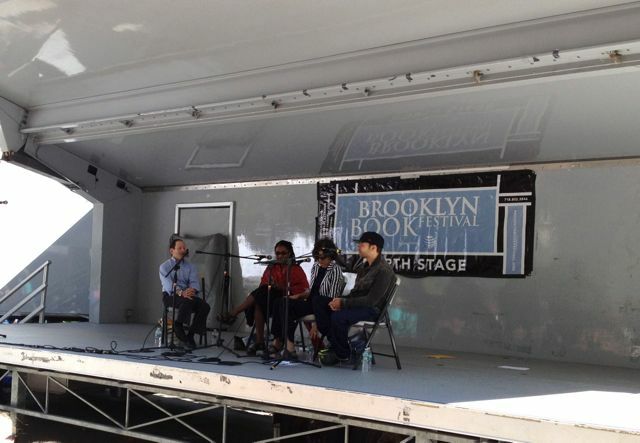 Vendors at the Brooklyn Book Festival included small presses, journals, and book stores. 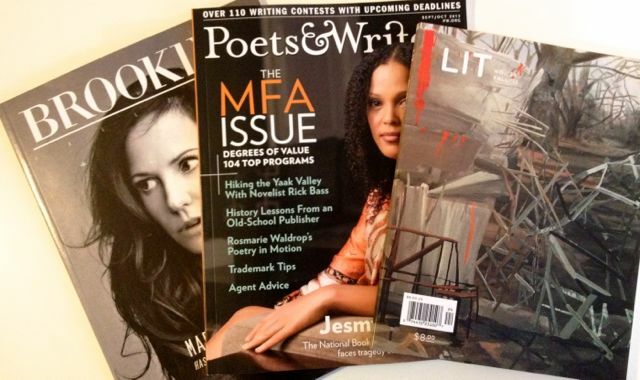 Some of the publications offered free sample copies. Not everything was free. 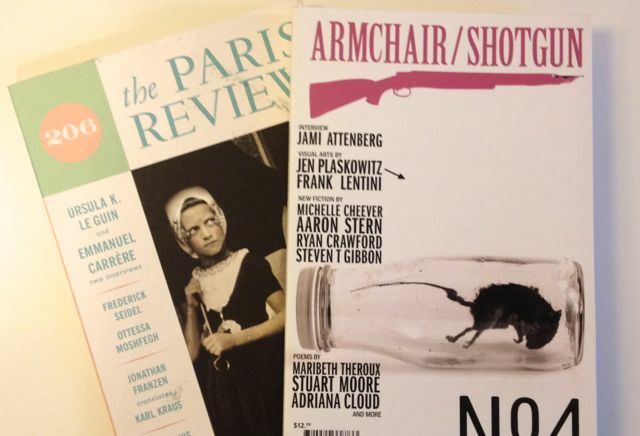 The new issue of The Paris Review was discounted, but still cost $10. Armchair/Shotgun, also had lottery tickets for a typewriter. 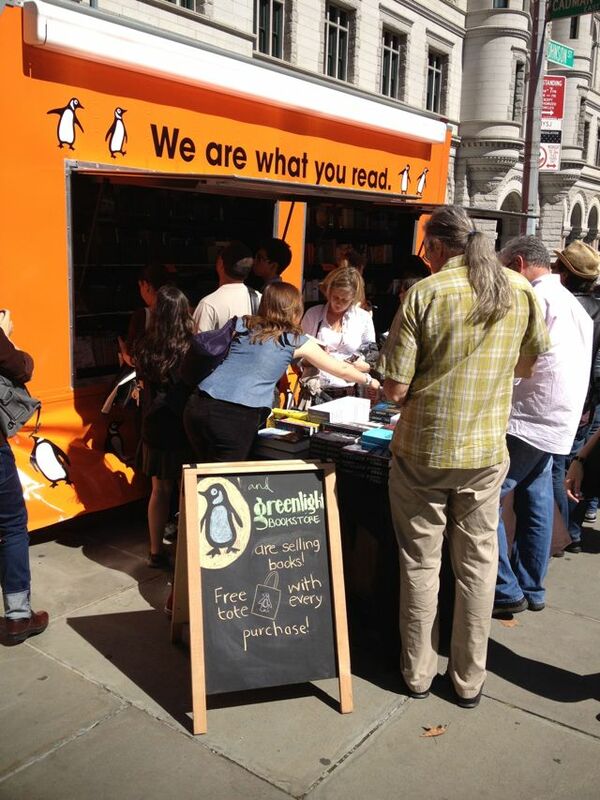 Greenlight Bookstore sponsored the Penguin mobile store. 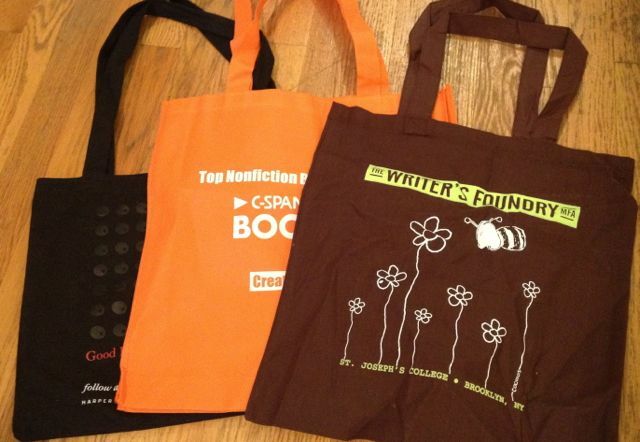 And of course, no book festival would be complete without free tote bags. St. Joseph’s College newly founded MFA program might have had the prettiest. Harper Perennial had a variety of quotes from their authors (and was technically only free with purchase of two books). We also liked the tote bags from Melville House, n+1, and Tin House, but these weren’t free, and so we didn’t acquire them.